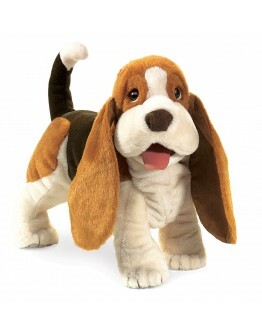 Folkmanis Folkmanis hand puppet basset dog This Folkmanis hand puppet basset dog is so fun and cool to have and to play with. 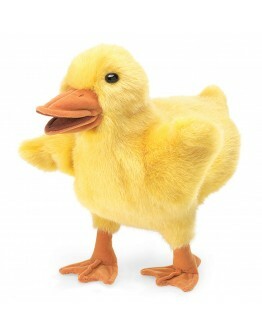 Your little one will immediately love his hand puppet and he will soon becomes indispensable with its favorite puppet. Those handpuppets from Folkmanis are super nice! 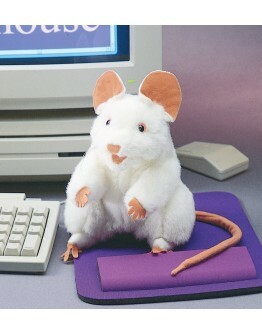 When you put your hand in this hand puppet, it comes to life! 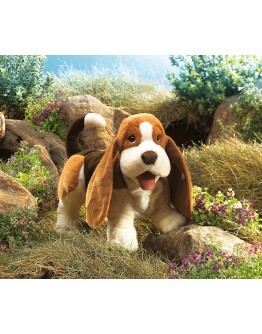 This basset dog from the hand puppet brand Folkmanis has a very nice and cute head with flapping ears. 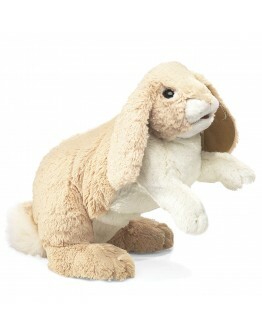 The sweet eyes and ears of the B..
Folkmanis Folkmanis hand puppet bunny in hatThis Folkmanis hand puppet bunny in hat is so fun and cool to have and to play with. 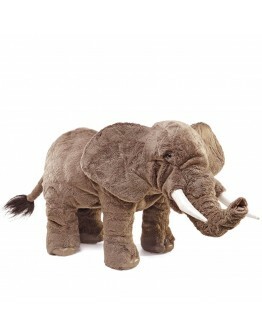 Your little one will immediately love his hand puppet and he will soon becomes indispensable with its favorite puppet. Those handpuppets from Folkmanis are super nice! 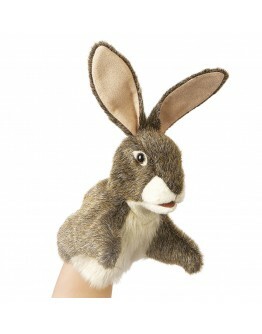 When you put your hand in this hand puppet, it comes to life! 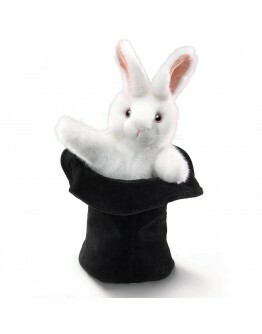 This bunny in hat hand puppet from Folkmanis is almost lifelike.This rabbit in hat hand puppet of the hand puppet brand Folkmanis..
Folkmanis Folkmanis hand puppet chickenThis Folkmanis hand puppet chicken is so fun and cool to have and to play with. 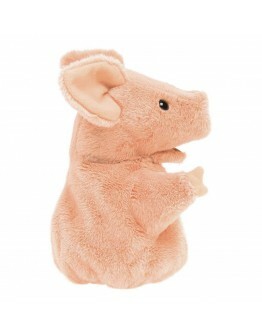 Your little one will immediately love his hand puppet and he will soon becomes indispensable with its favorite puppet. Those handpuppets from Folkmanis are super nice! 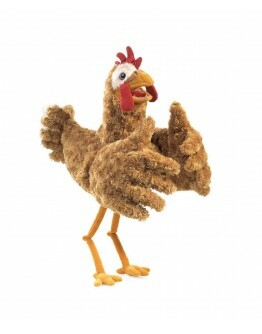 When you put your hand in this hand puppet, it comes to life!This chicken of the handpuppet brand Folkmanis looks very funny and fun but buy it for sure, because in real life it is 1000x nicer. 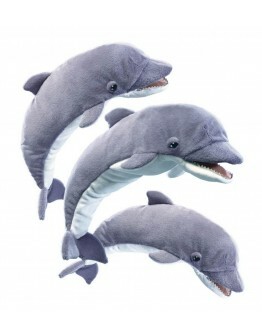 The funny ch..
Folkmanis Folkmanis hand puppet dolphinThis Folkmanis hand puppet dolphin is so fun and cool to have and to play with. Your little one will immediately love his hand puppet and he will soon becomes indispensable with its favorite puppet. Those handpuppets from Folkmanis are super nice! 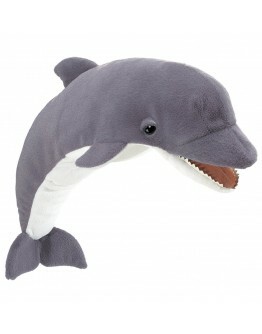 When you put your hand in this hand puppet, it comes to life!The dolphin of the handpuppet brand Folkmanis is often compared to a friendly and social mammal, dolphins also have a special way of communicatin..
Folkmanis Folkmanis hand ducklingThis Folkmanis hand puppet duckling is so fun and cool to have and to play with. Your little one will immediately love his hand puppet and he will soon becomes indispensable with its favorite puppet. Those hand puppets from Folkmanis are super nice! 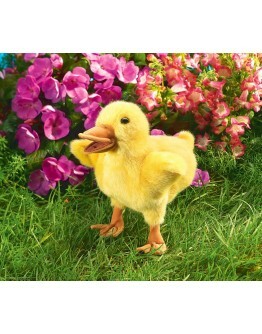 When you put your hand in this hand puppet, it comes to life!This duck of the hand puppet brand Folkmanis is a nice little duck that is 25 cm tall and is made from deliciously soft short-haired yellow plush. 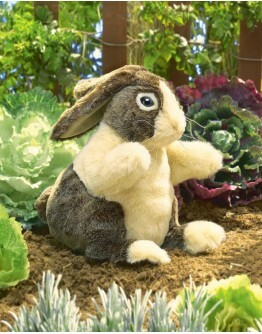 Th..
Folkmanis Folkmanis hand puppet Dutch rabbitThis Folkmanis hand puppet Dutch rabbit is so fun and cool to have and to play with. 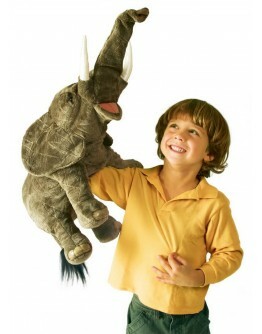 Your little one will immediately love his hand puppet and he will soon becomes indispensable with its favorite puppet. Those handpuppets from Folkmanis are super nice! 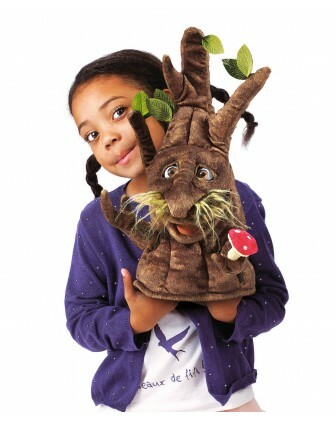 When you put your hand in this hand puppet, it comes to life! 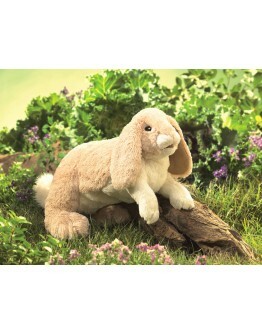 This Dutch rabbit from the handpuppet brand Folkmanis has a very nice and cute head with the flapping ears the most pronounced b..
Folkmanis Folkmanis hand puppet eagleThis Folkmanis hand puppet eagle is so fun and cool to have and to play with. 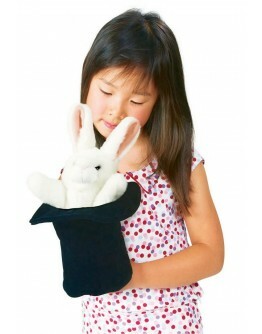 Your little one will immediately love his hand puppet and he will soon becomes indispensable with its favorite puppet. Those handpuppets from Folkmanis are super nice! 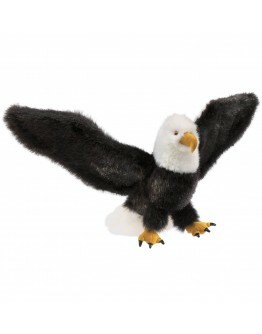 When you put your hand in this hand puppet, it comes to life!This eagle from the handpuppet brand Folkmanis is exactly lifelike and fantastic made to fly around. He has a hand entrance at the bottom o..
Folkmanis Folkmanis hand puppet elephantThis Folkmanis hand puppet elephant is so fun and cool to have and to play with. Your little one will immediately love his hand puppet and he will soon becomes indispensable with its favorite puppet. Those handpuppets from Folkmanis are super nice! When you put your hand in this hand puppet, it comes to life!This elephant from the handpuppet brand Folkmanis has a very nice and cute head with the flapping ears and the movable trunk the most pron..
Folkmanis Folkmanis hand puppet hareThis Folkmanis hand hare is so fun and cool to have and to play with. Your little one will immediately love his hand puppet and he will soon becomes indispensable with its favorite puppet. Those handpuppets from Folkmanis are super nice! 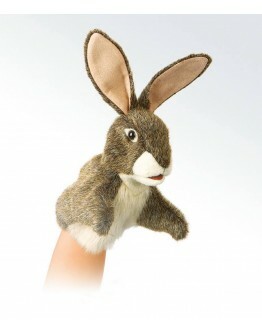 When you put your hand in this hand puppet, it comes to life!This hare of the handpuppet brand Folkmanis is very flexible and easy to move and is very easy to come to life. 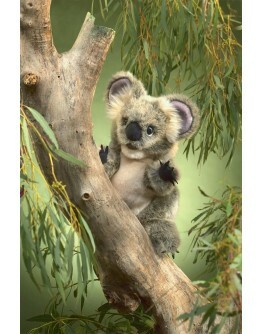 He has grey brown short hair with white ..
Folkmanis Folkmanis hand puppet koala babyThis Folkmanis hand koala baby is so fun and cool to have and to play with. Your little one will immediately love his hand puppet and he will soon becomes indispensable with its favorite puppet. Those handpuppets from Folkmanis are super nice! 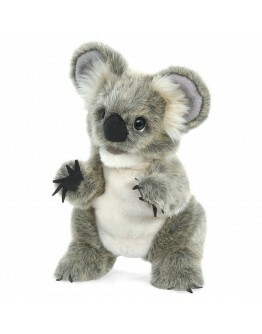 When you put your hand in this hand puppet, it comes to life!This koala baby from the handpuppet brand Folkmanis is very smooth and easy to move and is very easy to come to life. This beautiful hand pup..
Folkmanis Folkmanis hand puppet lionThis Folkmanis hand lion is so fun and cool to have and to play with. Your little one will immediately love his hand puppet and he will soon becomes indispensable with its favorite puppet. Those handpuppets from Folkmanis are super nice! 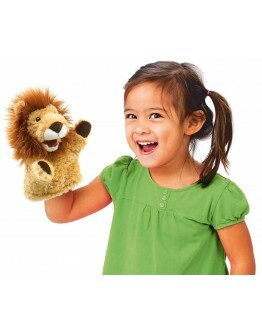 When you put your hand in this hand puppet, it comes to life!This lion from the handpuppet brand Folkmanis is very flexible and easy to move and is very easy to come to life. 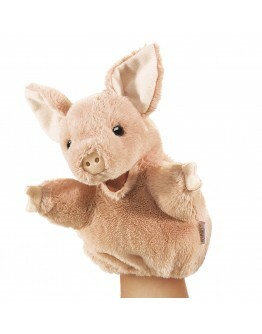 He has light brown short hair, has mane of ..
Folkmanis Folkmanis hand puppet little pigThis Folkmanis hand little pig is so fun and cool to have and to play with. 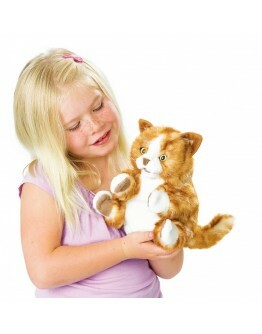 Your little one will immediately love his hand puppet and he will soon becomes indispensable with its favorite puppet. Those handpuppets from Folkmanis are super nice! When you put your hand in this hand puppet, it comes to life!This little pig from the handpuppet brand Folkmanis is very flexible and easy to move and is very easy to come to life.He has soft pink short..
Folkmanis Folkmanis hand puppet white mouseThis Folkmanis hand puppet white mouse is so fun and cool to have and to play with. Your little one will immediately love his hand puppet and he will soon becomes indispensable with its favorite puppet. Those handpuppets from Folkmanis are super nice! 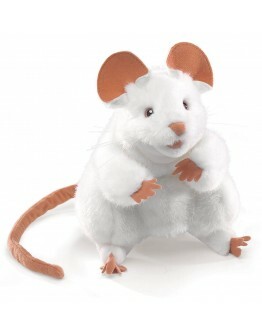 When you put your hand in this hand puppet, it comes to life!This white mouse from the handpuppet brand Folkmanis has a cute white little head, large white pink ears, legs and long tail. All these pa..
Folkmanis Folkmanis hand puppet orange kittenThis Folkmanis hand puppet orange kitten is so fun and cool to have and to play with. 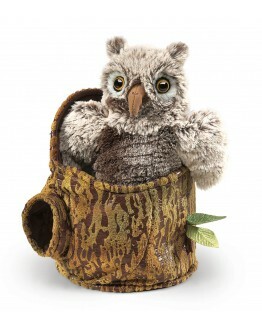 Your little one will immediately love his hand puppet and he will soon becomes indispensable with its favorite puppet. Those handpuppets from Folkmanis are super nice! 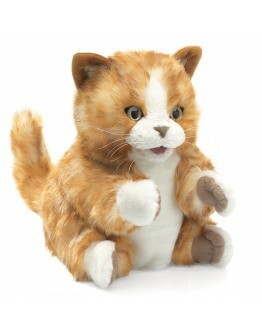 When you put your hand in this hand puppet, it comes to life!This orange cat from the handpuppet brand Folkmanis has a cute head with funny ears and a striped soft fur. 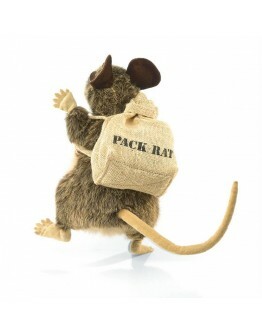 The Folkmanis orang..
Folkmanis Folkmanis hand puppet rat with backpackThis Folkmanis hand puppet rat with backpack is so fun and cool to have and to play with. 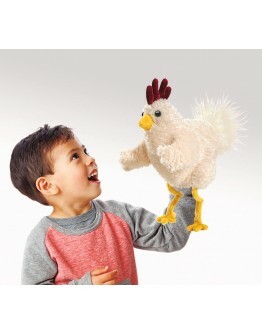 Your little one will immediately love his hand puppet and he will soon becomes indispensable with its favorite puppet. Those handpuppets from Folkmanis are super nice! 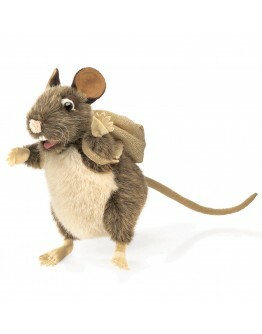 When you put your hand in this hand puppet, it comes to life!This rat with backpack from the handpuppet brand Folkmanis is a brown rat that collects all kinds of treats in his backp..
Folkmanis Folkmanis hand puppet toadThis Folkmanis hand puppet toad is so fun and cool to have and to play with. 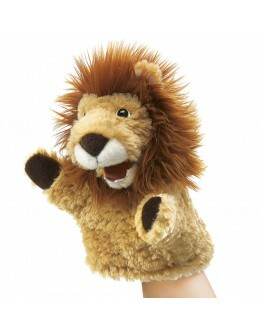 Your little one will immediately love his hand puppet and he will soon becomes indispensable with its favorite puppet. Those handpuppets from Folkmanis are super nice! 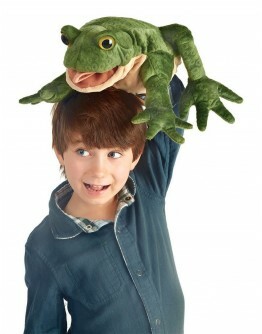 When you put your hand in this hand puppet, it comes to life!This pad of the hand puppet brand Folkmanis has a much rougher skin than the frog and is a lot bigger. 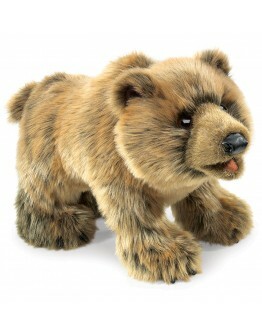 The pad hand puppet of Folkmanis is large, he is..
Folkmanis handpuppet bear is so fun and great to have and play with. Your little one will immediately love and quickly becomes indispensable. This bear handpuppet by Folkmanis is almost real.Put your hand in the hands of the handpuppet and let the bear move his hands. Almost real, you can let the handpuppet move his head and moth, he is so lovely!Size 55 cm..
Folkmanis handpuppet bunny Floppy is so fun and great to have and play with. Your little one will immediately love and quickly becomes indispensable. 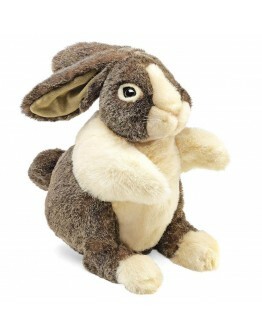 This bunny Floppy handpuppet by Folkmanis is almost real.Put your hand in the handpuppet and let the bunny move. 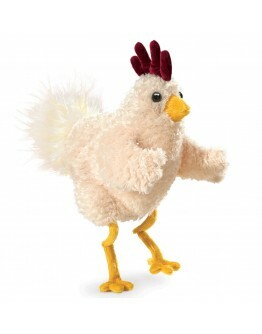 Almost real, you can let the handpuppet move his mouth and feet.Size 43 cm..
Folkmanis handpuppet chicken is so fun and great to have and play with. Your little one will immediately love and quickly becomes indispensable. 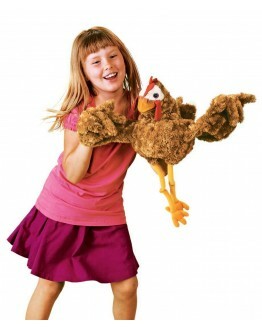 This chicken handpuppet by Folkmanis is almost real.Put your hand in the handpuppet and let the chicken move. 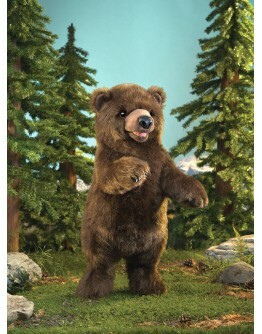 Almost real, you can let the handpuppet move his whole body, he is so sweet!Size 20 cm..
Folkmanis handpuppet grizzly bear is so fun and great to have and play with. Your little one will immediately love and quickly becomes indispensable. 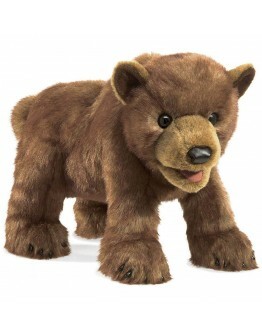 This grizzly bear handpuppet by Folkmanis is almost real.Put your hand in the handpuppet and let the grizzly bear move. Almost real, you can let the handpuppet move his feet, head and mouth, he is so lovely!Size 63 cm..
Folkmanis handpuppet owl is so fun and great to have and play with. Your little one will immediately love and quickly becomes indispensable. 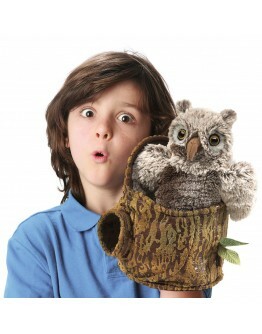 This owl handpuppet by Folkmanis is almost real.Put your hand in the handpuppet and let the owl move. 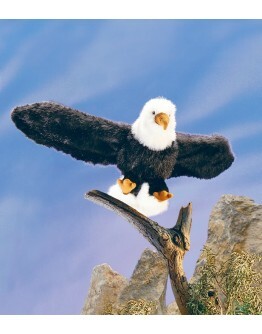 Almost real, you can let the handpuppet move his wings and head, he is so sweet! 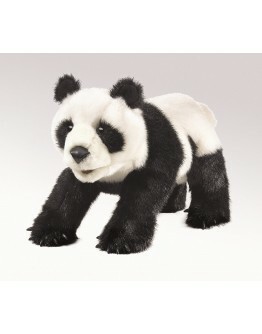 You can let him flip out of his tree!Size 23 cm..
Folkmanis handpuppet panda is so fun and great to have and play with. Your little one will immediately love and quickly becomes indispensable. 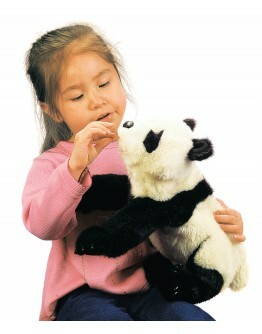 This panda handpuppet by Folkmanis is almost real.Put your hand in the handpuppet and let the panda move. 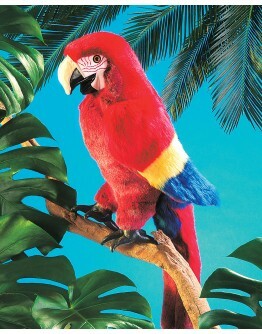 Almost real, you can let the handpuppet move his feet and mouth.Size 35 cm..
Folkmanis handpuppet parrot is so fun and great to have and play with. Your little one will immediately love and quickly becomes indispensable. 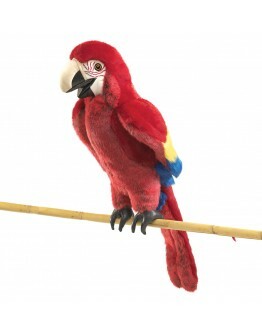 This parrot handpuppet by Folkmanis is almost real.Put your hand in the handpuppet and let the parrot move. 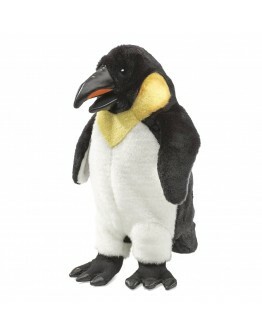 Almost real, you can let the handpuppet move his whole body, and his beautiful tail, he is so lovely!Size 63 cm..
Folkmanis handpuppet this penguin is so fun and great to have and play with. Your little one will immediately love and quickly becomes indispensable. 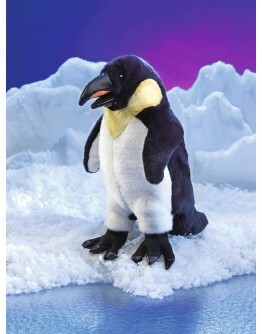 This penguin handpuppet by Folkmanis is almost real.Put your hand in the handpuppet and let the penguin move. 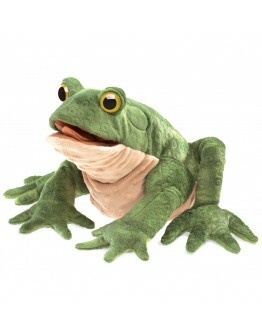 Almost real, you can let the handpuppet move his head and mouth.Size 30 cm..